Our Insert products offer superior quality using Gepco 2 pair snake cable. These will not only provide clean clear signal but will stand up to the rigors of a touring professional or the confines of the studio. The Gepco cable products are flexible, durable and have awesome shielding for super clean signal. 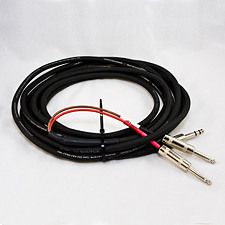 All our Insert and signal cable products are made with high quality Neutrik & Switchcraft ends for clean reliable connections for years to come.